Expertise: Quantitative Finance, Investment, Applied Econometrics; Commodity Markets, Foreign Exchange, Asset Allocation, Market Microstructure. 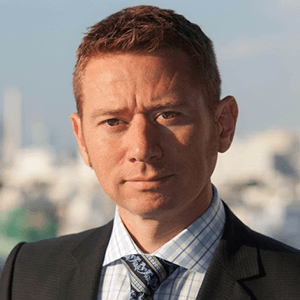 Clinton Watkins is an Associate Professor in the Graduate School of Economics at Kobe University, Japan, and a Visiting Professor in the Faculty of International Liberal Arts Global Business Program at Akita International University, Japan. He conducts research in quantitative finance and investment, in both academia and the asset management industry. His interests include macro-strategies in commodity, foreign exchange and fixed income markets, as well as asset allocation and market microstructure. Dr Watkins has served as a researcher and strategist developing quantitative investment strategies in currencies, emerging market equities and asset allocation for hedge funds at BlackRock and Barclays Global Investors. He has also served as an Adviser on financial market analysis and research at the Reserve Bank of New Zealand. Previously he has worked in energy an environmental economics, commodity trading and business management. Dr Watkins lectures in finance and applied econometrics and holds a PhD in economics from the University of Western Australia.